I was always very fond of my maternal grandfather. He was what some might describe as dour – not bad-tempered, just not given to shows of emotion; never exuberant but never grumpy either. You knew what to expect from Pa and I always felt comfortable around him. Except ….. when the war, or my uncle Bert (his son who was killed in the war) were mentioned – his eyes would fill with tears and he’d either quickly look away or leave the room. As a young child I always wondered what terrible thing it was that evoked such an emotional response in my Pa.
I’ve always wondered if those early experiences, witnessing that raw grief, are what led me to pacifism. I remember in my teens learning about the Second World War at school and asking my Mum about her brother. He was 11 years older than her but they were very close, Mum was only 12 when Bert was killed in Salerno, Italy in 1943. In the months following his death, letters from him would pop through the letterbox and it was her job to get to the door before her mother saw them. The family’s way of coping was simply not to mention Bert’s death, it was never spoken about. Over twenty years later it was clear to me that my mum’s grief was still raw. I wondered if visiting Bert’s grave would help heal the wound. Mum wasn’t sure, but we started to make enquiries. Through the Scots Guards (Bert’s regiment) mum got in touch with a man who had been with Bert on the day he was killed. She never managed to meet him but they corresponded for a short time, and that meant a lot to her. Then Mum and I went on a British Legion pilgrimage to Salerno war cemetery where Bert is buried. Her parents had never been able to afford to visit their son’s grave, so my mum was the only family member who knew Bert ever to visit his grave. I went with some trepidation, thinking I would spend the time biting my tongue, struggling to keep respectfully silent about my views on war! However, my experience was quite the opposite. The majority of the veterans, visiting the graves of fallen comrades, spoke strongly against the futility of war. Most of them, like my mum, had been left with emotional wounds, however the acts of remembrance on these trips were a healing balm. The war cemeteries are hauntingly beautiful, sad places. It was a deeply emotional trip, especially for mum, but also deeply healing. When she came home she looked through boxes of old family photos and brought out photos of her brother – I have a lovely framed one that she wanted me to have when she died. She fondly shared stories of her childhood memories of her ‘big brother’. 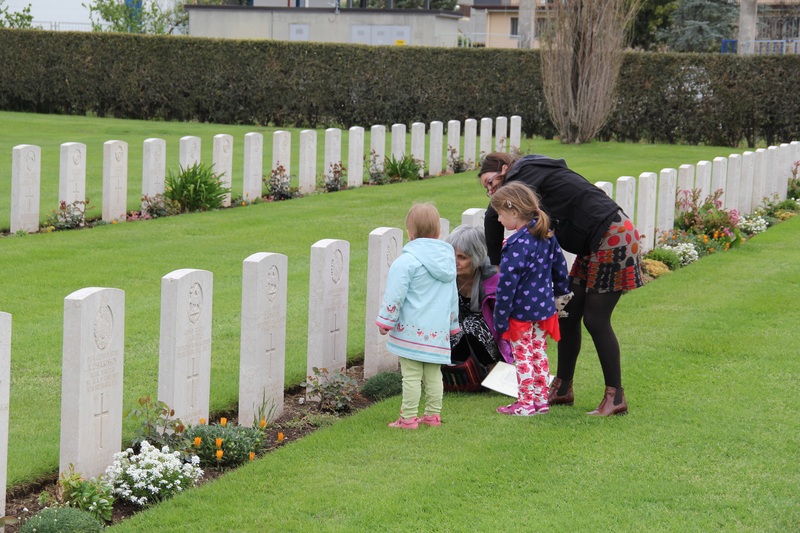 It sounds strange but through the act of remembrance, the war graves pilgrimage, she found him again. Jan Benvie is a member and trustee of the Anglican Pacifist Fellowship. She served with Christian Peacemaker Teams in Iraq and Palestine from 2005-2010, carrying out human rights monitoring, hazardous accompaniment and violence reduction work. Since returning home to Scotland she has continued her work for a just peace in Palestine/Israel and is secretary of the Scottish Palestinian Forum. 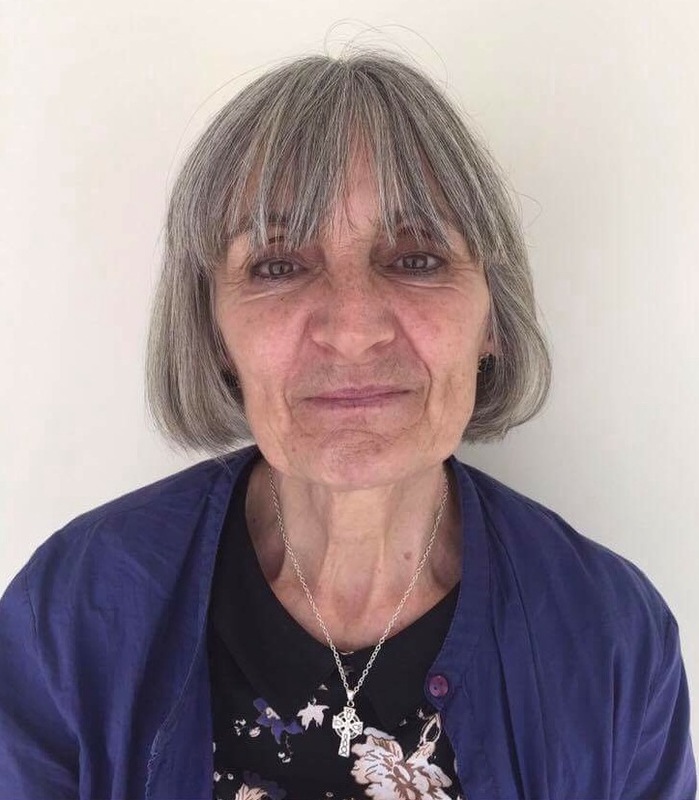 A retired Primary School teacher, Jan is a member of the management committee of the Edinburgh Peace & Justice Centre, focusing particularly on their peacebuilding work in Edinburgh primary schools. She is a member of the Third Order of the Society of St Francis and is the Scottish representative for Justice, Peace & Integrity of Creation. She is an active member of St Margaret’s Scottish Episcopal church in Rosyth, Fife.